We are actively engaged in offering Yellow Basmati Rice / 1121 Basmati Rice. Our offered rice is grown under favorable climatic conditions using natural fertilizer and is widely popular due to its amazing taste and fragrance. Clients can avail this offered basmati rice in desired quantities and moisture-proof packaging options. We offer Steamed 1121 Basmati Rice. The rice offered by us is used for preparation of various dishes. The offered basmati rice is available in safe packaging to keep it free from contaminants. 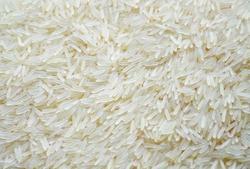 The offered basmati rice is characterized by fresh aroma and characteristic taste. It is cultivated in a hygienic environment using natural compost and processed impeccably. 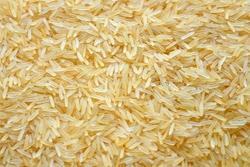 We are engaged in offering Golden Sella 1121 Basmati Rice. Our offered basmati rice is ideal for mass cooking and is treated through extra parboiling process which ensures less breakage and hardness. It is available with us in desired quantities and various premium packaging options. 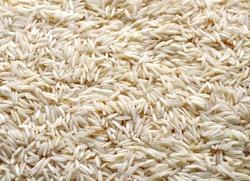 The offered rice is widely preferred among our clients. We are actively engaged in offering 1121 Basmati Rice. Our offered rice is grown under favorable climatic conditions using natural fertilizer and is widely popular due to its amazing taste and fragrance. Clients can avail this offered basmati rice in desired quantities and moisture-proof packaging options. We are involved in offering Sella 1121 Basmati Rice. Our offered basmati rice has longer grain length than other non-basmati varieties and thereby offers better cooking option that is widely suitable and preferred by restaurants, hotels & caterers. Our offered cooked grains of basmati rice are characteristically free flowing rather than sticky. Looking for 1121 Basmati Rice ?